Code4CT - The Cape Academy of Maths, Science & Technology: Centre of Excellence! ... "Praestantia"
this week to host 40 aspiring female coders for a 3 hour introductory coding workshop. The workshop highlighted career opportunities for coders, developed learners’ computational thinking ability and even had them coding their first project. Learners came from several Cape Town schools including Westerford, Claremont High and Cape Academy for Maths, Science and Technology. As one of South Africa’s leading ecommerce companies and an innovative technology-led business, Takealot has an ever-increasing number of roles that require ambitious engineers with strong coding skills. possible, along with a passion for maths. There are so many exciting career opportunities ahead for them - especially at Takealot where we face interesting technical challenges every day that need smart, ambitious engineers to solve complex problems." 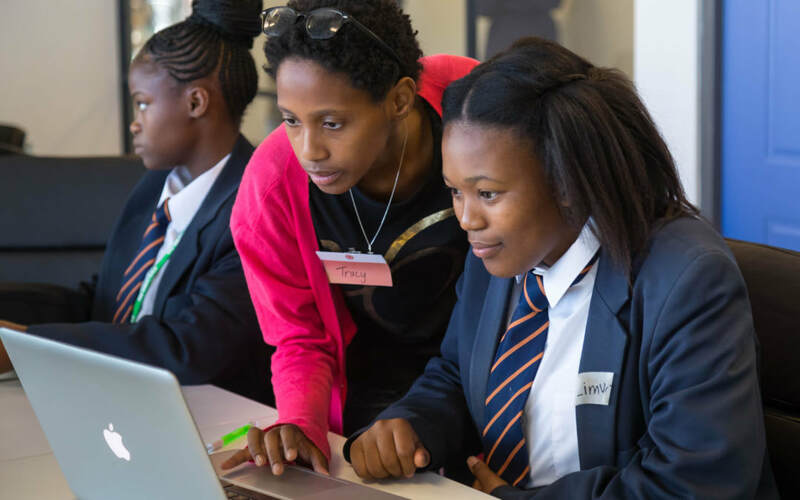 During February and March up to 600 girls will be able to attend Code for Cape Town’s Power of Coding workshop. Girls can register on Quicket for workshops at Cape Town Science Centre, American Corner and Bandwidth Barn.